Metal pins can be plated in various metal colors. Plating refers to the metal used for the pin, either 100% or in combination with color enamels. 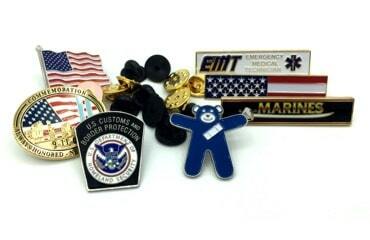 All our pins are available in a variety of finishes. Gold, silver, bronze, black nickel and copper are the most commonly used platings. 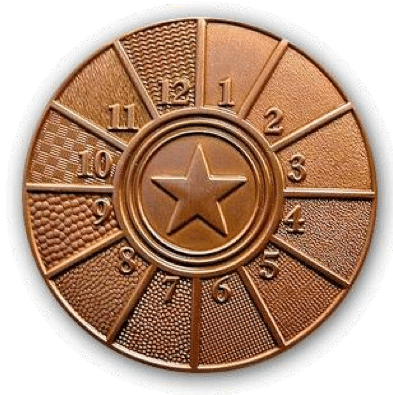 Die-Struck pins can also be plated in an antique finish; the raised areas can be polished and recessed areas matte or textured. 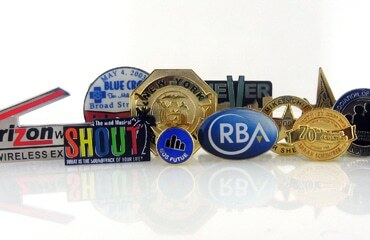 The plating options can really enhance a lapel pin design, by transforming it into looking like a timeless piece. The antique plating options are really amazing when it comes to a die struck lapel pin with no color. 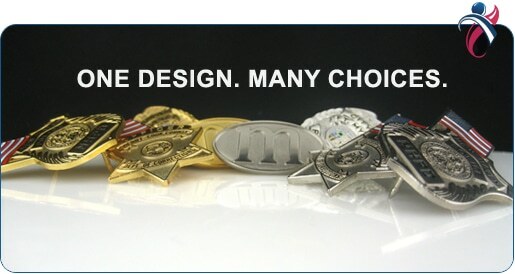 The Pin People is also able to create two-tone metal plating options, which many companies are not able to produce. If your design requires a two tone metal option, simply let us know and we will be able to accommodate that request. There are many options when it comes to plating. The one thing that we stress is that sometimes with shiny plating options, small text becomes very hard to read. 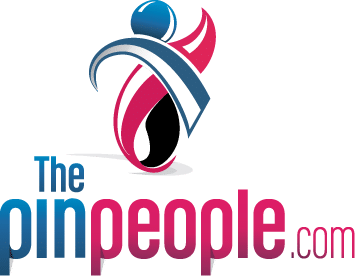 Need Help With Your Metal Pins Plating Options? The textures are for the recessed metal portion of the lapel pin. This helps to make the raised portion or shiny portions of the pins really stand out. 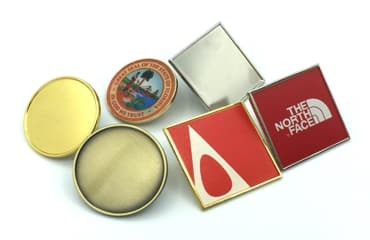 If you are unsure of which texture will look best on your lapel pins, simply contact our Pingineers via live chat, our contact form or call us at 888-309-PINS and we will be able to help you with the plating options for your metal pins.